Prairie Island Nuclear Generating Plant, Units 1 and 2. 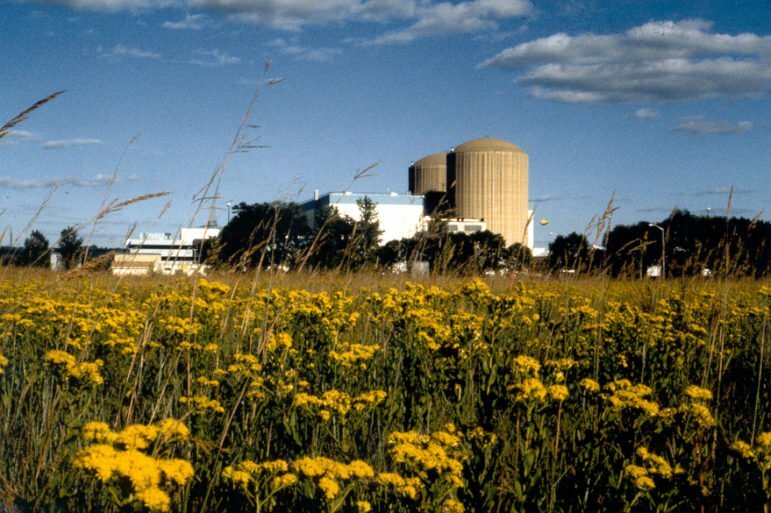 Photo courtesy of the Nuclear Regulatory Commission/Nuclear Management Co. So, as recent as 2018, residents set out to change just that, to finance their plan to achieve net-zero emissions and wean the island off nuclear power. In his 2019 budget plan, Governor Tim Walz has proposed allocating about $46.2 million over three years to the tribe. But currently, partisan disagreements abound over how to properly fund what many in the Legislature consider the state’s fight against climate change. Read the full story at MinnPost. On March 22, hundreds of young Black men, along with many others in solidarity, took to the state Capitol rotunda. It was there that they, all sartorial demonstrators, wore t-shirts – red, white and blue – with “Black Excellence” emblazoned on them, to show what it means to be a Black man. This was part of Patrick Henry High School’s second 100 Black Men Strong day-long retreat, where students, joined by their teachers and Patrick Henry staff members, met with state legislators and officials. Find out more on Spokesman-Recorder. Over one year later, on March 27, 2019, an ordinance was approved by the Park Board Administration and Finance Committee to change the names of roads near Bde Maka Ska – East Lake Calhoun Parkway, West Lake Calhoun Parkway, Calhoun Drive and Calhoun Boulevard West. The updates, some officials say, are meant to reflect the year-old name change of Bde Maka Ska. To learn more, read Southwest Journal. As many Black males start their education, their views on school are optimistic. Then something happens. As they matriculate, their optimism is replaced with feeling unwelcomed and unwanted. Research shows that African American boys in kindergarten through third grade perform comparably to their peers. But after fourth grade, things take a turn. They become less engaged. Once this begins, it becomes increasingly difficult to keep them engaged. This is reflected in poor graduation rates, attendance, behavioral concerns and even worse academic performance. There are no inherent flaws in our boys. So why is this happening? Why does the school system keep producing these outcomes?